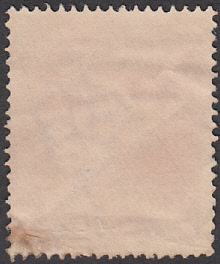 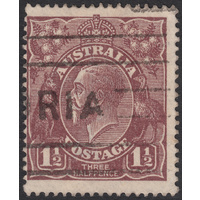 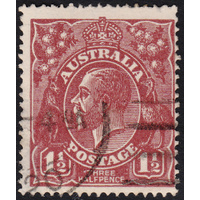 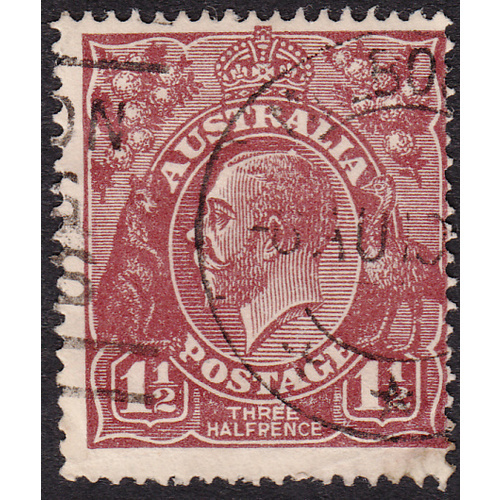 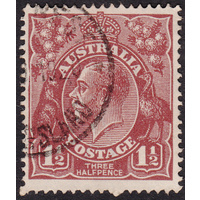 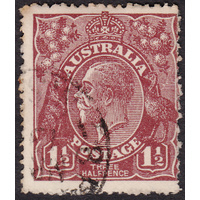 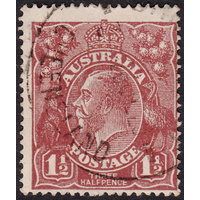 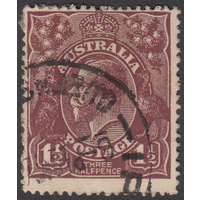 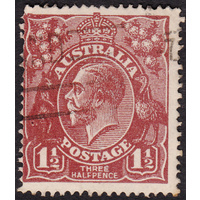 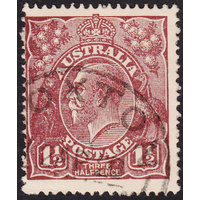 Australia KGV 1919, 1&1/2d Brown, Single Watermark,variety 4R60, Second State, (Breaks in two shading lines immediately below point of top left projection point above left wattles, spot above King's head below 2nd A of AUSTRALIA) in Good Used condition with a few crumples and a couple of creases at bottom. 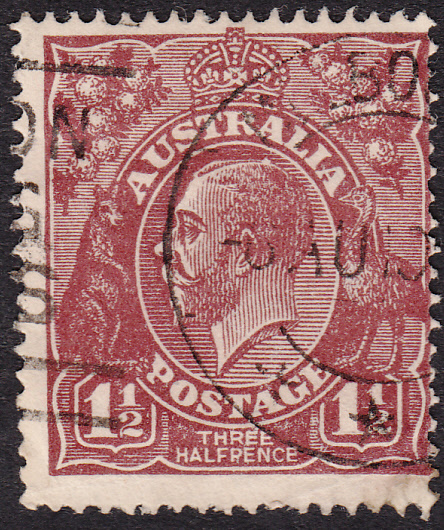 Off-center to the right with a circular duplex cancellation clear of both indicators. 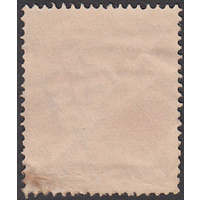 BW 85(4)i.